Keto Diet for Beginners, YOU CAN DO IT!! 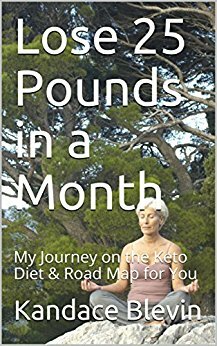 Below are some products available through Amazon, which may help you on your Keto way. MCT Oil is a wonderful way to incorporate healthy fats into your diet. Including it in your Bulletproof coffee is the easiest way to use it. The Keto Diet books are a good source of information and the science behind the diet. Finally, the Ketone strips are an easy way to evaluate when you have attained the Holy Grail of Ketosis. You can get them at CVS or Walgreens, but Amazon tends to have the best prices.